The most loved tropical paradise of this country, Kerala boasts of homing some of the richest biodiversities in the World. 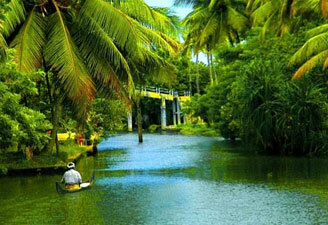 Also known as the God's Own Country, Kerala has emerged as one of the most sought after destinations in Asia. Placed at the western coast of South India, Kerala is a 560 km long, narrow stretch of land. Blessed by the God, the land has higher diversity where the climate is more humid and wetter. 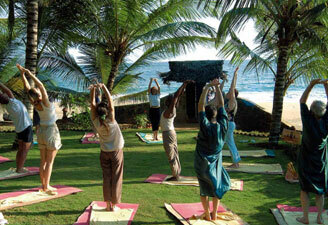 The state of Kerala represents one of the three richest tropical moist forest areas in the country. It has wet evergreen forest with the most complex and species-rich vegetation assemblage in this part of the country. Endemism is very high in flowering plants, small mammals and amphibians. Kerala also homes a kaleidoscope of people and cultures. Some of the finest wildlife sanctuaries and National Parks are placed amidst luxuriant forests of Western Ghats in Kerala. Each of the wildlife sanctuaries homes rare animals, birds, reptiles, insects and plants. Tourists will come across endangered lion-tailed macaque, Nilgiri tahr, atlas moth, Travancore evening brown and rarest of butterflies in the world. This exotic state is also home to the Neelakurinji which blooms once every twelve years. Podocarpus wallichianus (the only south Indian conifer) is also found here. Some of the most refreshing and revitalizing trekking trails in the country are located here. Authorities here laid emphasis on creating scientific conservation methods that are complementary to the traditional lifestyle of tribal residing in the region. Wynad Wildlife Sanctuary, Eravikulam National Park, Periyar National Park and Silent Valley National Park are some of the most visited wildlife sanctuaries in Kerala. Visit to these parks is not less than a memorable experience, as eco-tourism is the last representative virgin tract of tropical evergreen forests in India. Enchanting backwaters of Kerala are a unique feature of Kerala. Located along the 600 km long coastline of dazzling beaches, these backwaters of Kerala are the basis of a unique lifestyle and mesmerizing sights. Coir, Copra, and Cashews are loaded into the boats and these boats cross shallow and palm-fringed lakes and travel along narrow shady canals. Around 600 km long shoreline of Kerala is dotted with some of the most exotic and enticing beaches of the world. These beaches of Kerala are full of splendour thanks to swaying coconut groves, natural harbors, lagoons and sheltered coves. All of the palm-lined beaches of Kerala are the most visited for the gentle surf and soothing azure waters. There are some beaches in Kerala that offer tranquil and healthy ambiance along with some Yoga, Meditation and Ayurveda practice are - Alappuzha Beach, Kovalam Beach, Pthiramanal Beach, Sankhumugham Beach, Thirumullavaram Beach and Varkala Beach. Kerala's highland area rises up to an average height of 1520 m and covers the tropical forests of the Western Ghats that home rich flora and fauna. You need not to speak of expansive and loamy plantations of tea, coffee, rubber and fragrant cardamom. Hill stations of Kerala offer the most charismatic experience of nature in all its spotless beauty. Hill resorts of Munnar and Nelliyampathy are an ideal spot for trekking.